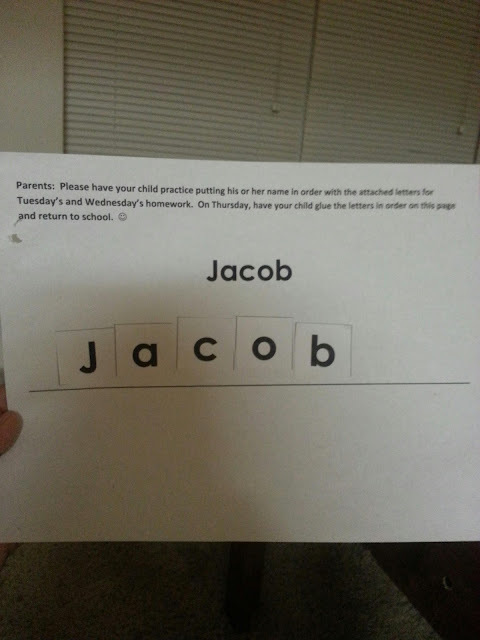 Jacob's first school assignment for kindergarten. He did it all by himself! He also read a few words out of a children's book! I'm so proud of my baby!